The first DVD we got out was from the Countries Around the World series: India. This series is a wonderful introduction to any of the countries they have in the series. In this one a girl takes them around Dehradun. They learn about Mahatma Gandhi, lassi (a yogurt drink) and saris. They also learn about the history, climate, politics and cultural traditions. They learn all about the culture through food, drink, sports and more. It is a great way to explore a country when you cannot go there. It is about 13 minutes in length. Next we viewed Families of India. 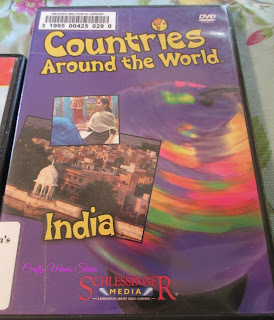 This DVD follows the lives of two children and their families. One lives in the city and one in a rural area. It gives a great view of the differences between them as well as the differences from where we live. The city boy has an unusual family in that it is just his parents and himself. He discusses this as being different from most. He goes to school and shares about the school day as well. The rural girl gets ready for a wedding with her family and shares a much different lifestyle of living with her large extended family. This one is about 30 minutes long. We are still enjoying Going to School in India. This story shares the story of nine children and their various schooling. One boy goes to school on a bus. Inbetween classes the bus picks other children up. Another shares that she is the first person in her family to ever attend a school. One girl lives on an island and she and her sister have to get themselves to the other island for school by boat. The various schools are so interesting to see. It is such a change from the schools we have here. We are beginning to read some of the books, listen to music and more. 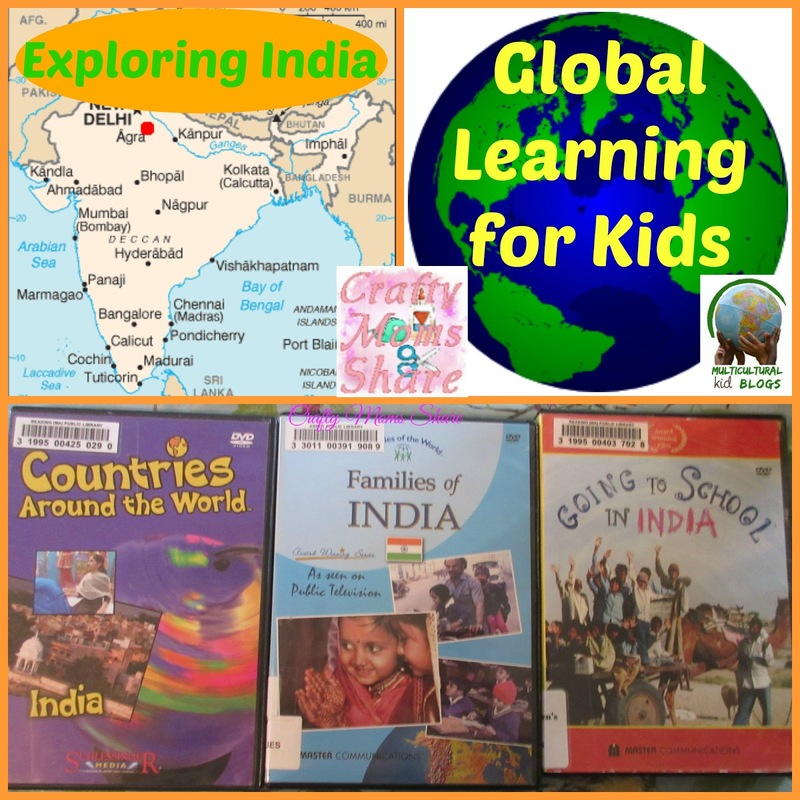 Stay tuned all month as we explore India! Now it is your turn to share any crafts, recipes, activities, lessons, books, etc. you have on India.